SSR Curry House is a new food paradise restaurant which is found to be hidden in the Australian & New Zealand Graduate Association (ANZGAM) Clubhouse which is located in Petaling Jaya. They place right opposite of the Tun Hussein Onn Eye Hospital and Sikh Gudwara which is located at Lorong Utara B. The restaurant is ran by a very humble and friendly Mr. Kumar along side his wife who assists him. 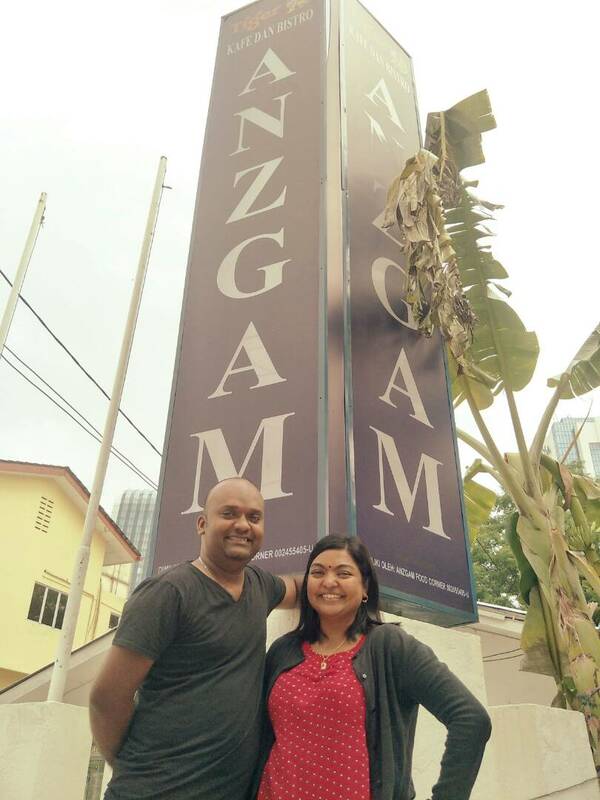 Mr. Kumar, who hails from Seremban has been in the food industry for 3 years. Having proven to be a success in Seremban, he has now trying to woo customer in the capital of the country and PJ. When I asked Mr Kumar, what makes SSR Curry House different than any other Indian Restaurant, he told me that the fact that instead of using clay pot as a mean of decoration or serving tool, SSR Curry House uses it to cook all it's curry dishes which enhances it's taste further and that is what makes them a little more special. I had to try the food to ensure it is actually know how good it was. SSR Curry House primary serves South Indian styled cuisine which is served over a buffet spread style. Customer coming to SSR Curry House has an option to either take individual dishes on its on or choose to be served a banana leaf meal of 4 vegetables with optional non vege add ons. A couple of friends and I was invited by Mr. Kumar and we had the luxury to try all the dishes which is served at SSR Curry House on that day which amounts up to a whopping 20 different dishes. After an hour long of tasting all the meals and finishing them up, the following were our top 3 pick from SSR Curry House. You may believe in love at first sight, but I believe in love at first bite and that was exactly the case here when I had my first taste of SSR Curry House's fish cutlet. The strong flavor of the spices used which was infused together with the boneless meat of the fish, stuffed together with little chunk of potatoes and fried to a golden brown look was indeed the best dish I had in SSR Curry House. With every bite of the cutlet, I could feel as if there was a festival going on in my mouth. I surely was having FOODGASM with the fish cutlet. Being a seafood lover, I just had to try their crab curry. It is said that food that is cooked in clay pot often has an edge over food cooked in a wok. This was surely true with SSR Curry House. The fact that the crab curry was cooked in clay pot actually helps elevates the taste of the curry compared to the other restaurants I have tried before. The crab essence soaked in together with the spices of the curry gives you a powerful taste when you eat it with rice. The curry is thick with a spicy level good enough to give you a real kick to come back for more. Now coming to the crab itself. Mr. Kumar generally uses mud crab for his curry but unfortunately on the day of my visit, he could only get flower crab. Despite that, the crab meat tasted very good. The succulent meat was soft and sweet plus with the shell being easy to crack for me to get every ounce of the meat made my whole eating experience a memorable one. 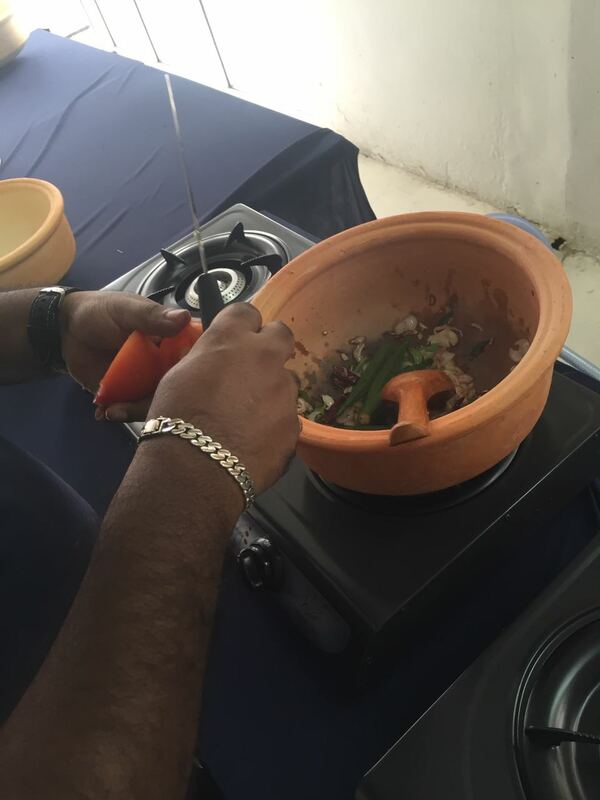 The fresh crab taste so delicious with cooking in a clay pot with the curry being a key factor as the essence of the spices gets to soak into the meat. The final item which we all agreed that deserves a detailed write up is the prawn masala. 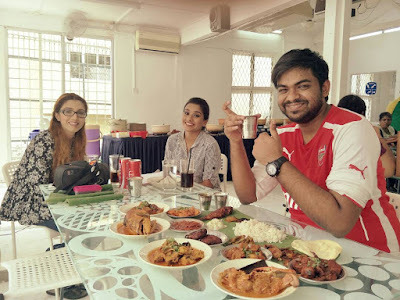 It was at this point whereby Mr. Kumar mentioned to us that seafood is his area of specialty thus it was no surprise that 2 out of the 3 picked dishes to be mentioned here were actually sea food dishes. The key to a tasty prawn dish is that the prawn has to be fresh, sweet and shouldn't feel like powder when you chew it. I can't stress this much enough because when you eat a prawn mean and it feels powdery, it spoils your entire meal. SSR Curry House's prawn masala ticked all the 3 box which made the dish a must have item for me. The masala used by Mr. Kumar gives you a different dimension of taste compared to the other prawn dishes you might have tried out there in an Indian restaurant. With the prawn being fresh and tasty with the masala giving the dish an "omph", SSR Curry House Prawn Masala was indeed a real treat to all foodies out there. The fact that I had tried 20 different dishes made it a real challenge for me to pick only 3 meals to highlight to you, thus I felt the need to share with you some glimpse of the other meals you shouldn't miss when you visit SSR Curry House next. When all the eating is done, the one thing you should do other then eating the FREE PAYASAM, yes free payasam, is to try their Bru Coffee. Now I am not a coffee person but I felt head over heals for the coffee and it is now on my must have list when I go to SSR Curry House. Trust me you should try it too and you won't regret it!!! With free drink of the day, condiments and fruits, you can now enjoy a very delicious Indian meal for less than RM 10. Venpa Fame Duo Thennavan & Kalyani (Yuvaraj & Agalyah) also came to tried the food along with Model Nisha and their reactions below shows you how wonderful our experience at SSR Curry House was. Yuvaraj, Agalyah & Nisha all approves SSR Curry House!!! Operating Hours: 11.30 A.M. to 3.00 P.M.
Waze: Search for "ANZGAM CLUBHOUSE"
Parking: Ample of public parking space available with in 1 minute walking distance. If you are coming from Klang, it is just a 2 minute drive from the Jalan Timur Exit @ Federal Highway. If you are coming from KL, it is less than a 1 minute drive from the Jalan Utara Exit @ Federal Highway.